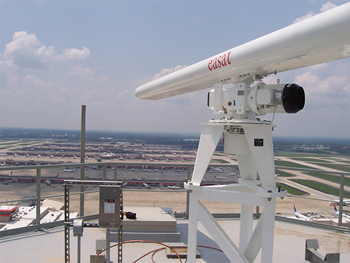 Easat's linear array Surface Movement Radars are operational worldwide, providing cost-effective ground surveillance radar solutions for airport terminal areas. 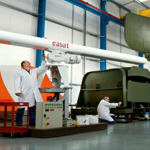 Easat Surface Movement Radars make use of proven Commercial-off-the-shelf (COTS) technologies to provide outstanding performance, simplified logistics and low cost of ownership. 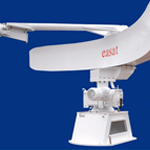 Easat’s Surface Movement Radars (SMR) provide high-performance surface movement radar surveillance in all weather conditions at airports worldwide. 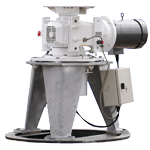 They can be employed either as stand-alone systems or integrated into Advanced Surface Movement Guidance and Control Systems (A-SMGCS). 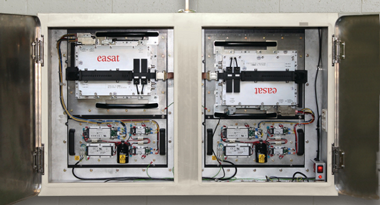 Easat's X band SMR is a 2D solid- state fully coherent digitally pulse (20ns) compressed radar, providing airport operators with state-of-the-art performance and very high reliability. 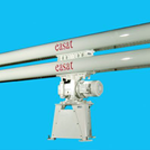 The solid-state transceiver combined with Easat's range of Linear Array or Reflector Antennas provides the end-user with a range of highly sophisticated radar sensor options. 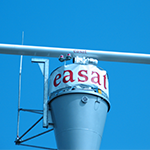 Easat offers market leading sensor packages with range resolution of 3m and exceptional ability to detect small targets in moderate to severe clutter environments (heavy rain, snow, ice, etc). 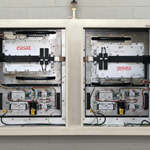 Easat’s EA16038 solid state transceiver is available in single or redundant / dual unit configuration – designated EA16038D – as pictured below.